Created by Edgar Rice Borroughs back in 1912, the character of Tarzan has had an enduring popularity in books, TV serials, black and white movies and even being re-imagined as the subject of a major film in 2016. It was inevitable therefore, that someone came out with an online pokie, and that honour has gone to Australian developer Aristocrat, who have released a game that’s packed with colour and adventure. With a free spins round, wild substitutions, a bonus wheel side game, 3-stage progressive jackpot and 50 lines to play, this pokiedoes justice to the character that it’s based on by having loads of action taking place across the 5 reels. Aristocrat have made Tarzan of the Apes into an exceptionally colourful game, where the lush leaves of the African jungle give it a bright green backdrop, against which the reels really stand out. Below the reels is a set of control buttons where players set their stakes, but it should be noted that all 50 lines are permanently active, so the minimum bet per spin is 0.50 and the amount can be adjusted up from there. All winning combinations start on the left side reel and depending on which symbol it is, whenever 2 or 3 matching ones land on adjacent reels across a line, players get paid out. The details of how much each combination is worth is shown on the paytable, with the classic 10, J, Q, K and A making up the low value end. Each of these has been designed to fit the theme, with jungle vines growing around them, but there are several picture symbols to give the game its’unique style. 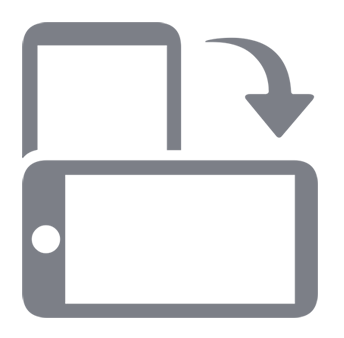 A crocodile, elephant, Jane, gorilla and lion are the higher value icons, with a moody-looking Tarzan being the most valuable of the lot. He will pay 5x the line bet when landing on reels 1 and 2 from the left, while getting 5 right across the game on a line will pay out 1000x. He is also acts as a wild symbol, helping to complete winning combinations by substituting for all others, with the exception of the scatter icons. 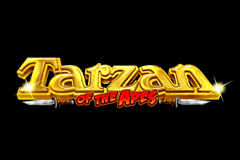 The Tarzan logo, complete with a dagger running through it is a scatter, so it can appear in any positions to be worth a prize and the amount won is a multiple of the total bet, not just the line bet. A multitude of bonus features are just another appeal of this pokie, with the Stampede being randomly awarded after a winning spin. In this feature, up to 6 symbols become extra scatters, paying out multiples of the win when they land across the reels, with just a single example being enough for a 2x payout and going up to 16x when 9 or more appear at once. The Tarzan feature sees an entire reel becoming wild and reels spin until a winning combination appears, although if the win is less than the triggering bet, extra spins are awarded until the total payouts of the feature are at least equal to the bet amount. The Monkey feature is a quick round and another randomly-triggered event, where a monkey will select a symbol and all examples of it on the reels will turn into wilds, creating an extra win. If 3 or more of the Wheel Bonus symbols land at once, players get to spin a wheel of fortune with 20 segments on it, collecting a prize dependant on where it stops. The prizes can be multipliers, mystery wins or up to 25 free spins, named Kerchak spins after the ape king from the Tarzan books. All winnings in the free games are multiplied by 2, 3 or 5 times and they can be re-triggered by any 3 or more Tarzan logos landing at once, although the bonus wheel round won’t be in play this time. The mystery wins can include such goodies as free spins, any of the Minor, Major or Grand progressive jackpots or even a combination of spins and jackpots, with the progressives in this game being from a few thousand to hundreds of thousands of Dollars. Few pokies have as many bonus features as Tarzan of the Apes and there are so many that it can take a while to work out which symbols trigger which bonuses, or what happens in the random features. But the best way to learn is to play it and even without the extensive collection of bonuses, it’s a very appealing game, with lots of colourful images and a well thought out design.